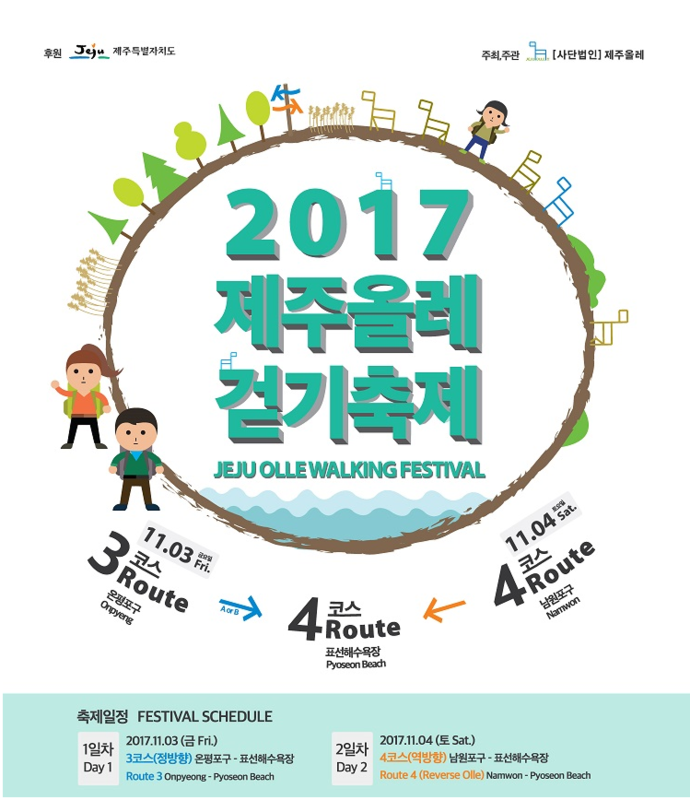 The Jeju Olle Walking Festival is an annual event which is held in fall when Jeju’s nature is at its best. You can enjoy walking tours, along with performances and local food. 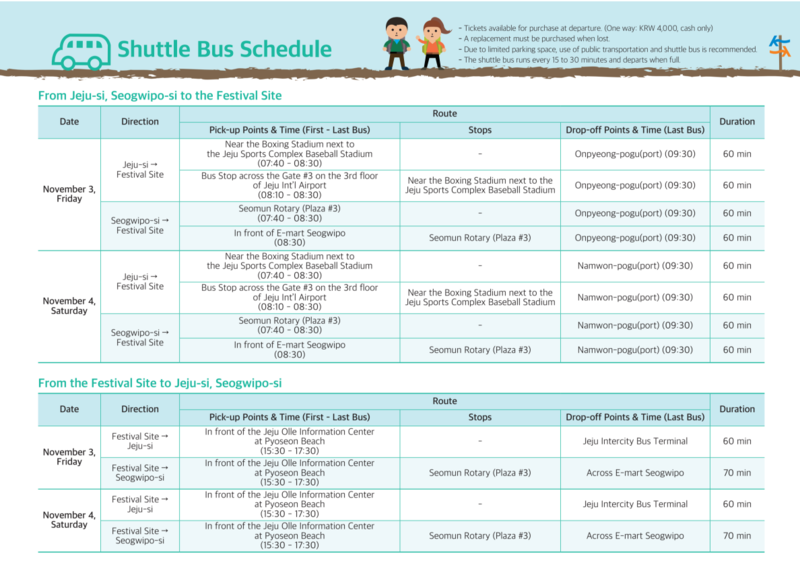 Visitors from China, Taiwan, America, England, Japan, Canada and other countries participate in this walking festival, and volunteers supports the festival management, local residents offer Jeju’s unique programs and food, and performers give impressive performances. Programs Music performance, cultural art program, hands-on program, food, etc.